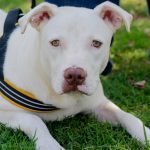 He’s the sweet, shy, mysterious guy who can make women swoon, but he’s also an active and playful pup who loves to wrestle, run and focus on fun. 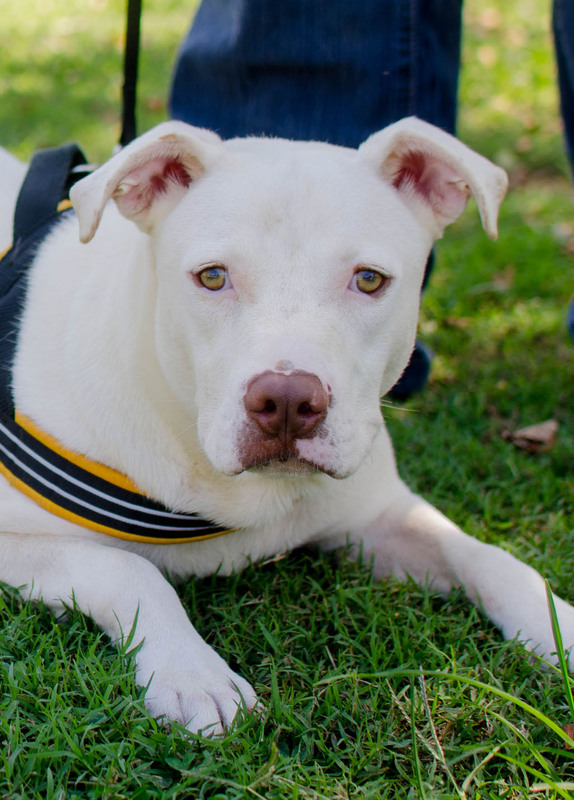 Skylar is a medium-sized, white Terrier mix with an enormous love for his doggie pals. Skylar would thrive with a canine friend and a family who understands that he wants a little time to know he can trust you. Give him some time and lots of love and you’ll see him flourish into the happy dog he was born. Just like the stealth panther, Midnight is slow and quiet while she moves from her bed to the secret nook in her cat house. 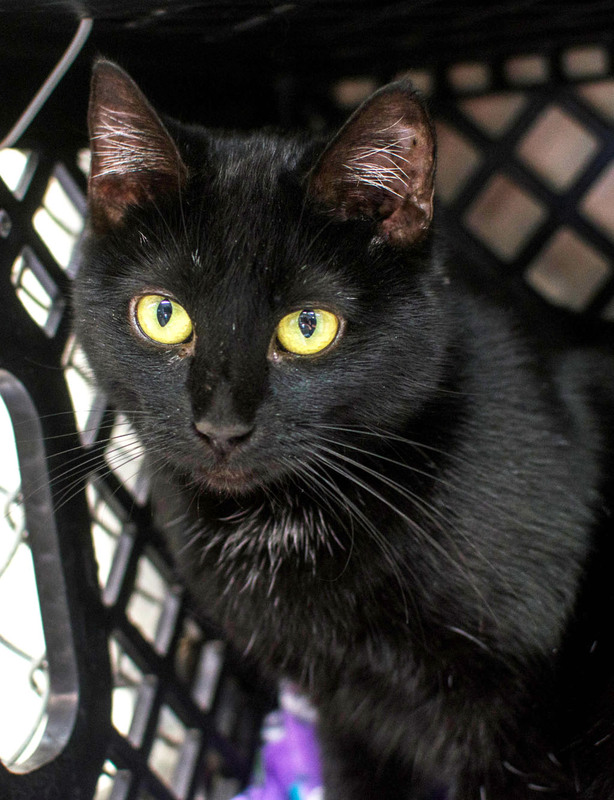 Her disposition is subtle, and her purr is barely audible, but she definitely speaks to a crowd with her black beauty and expressive golden eyes. 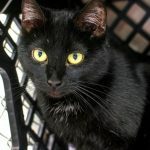 Proud and refined, Midnight prefers a quiet home that will allow her time to herself as well as those moments she prefers to sleep in your arms. 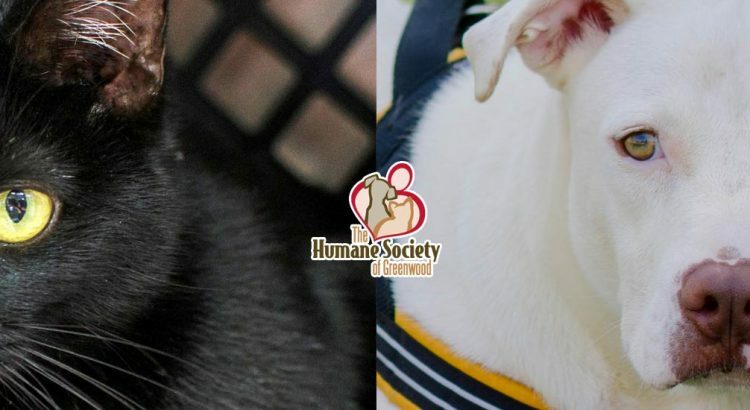 At just 1-year-old, she is a gentle, tenderhearted girl who looks forward to a long life with her new family.